“Ugh, I have to go running after work!”. If you’re a runner, chances are you’re no stranger to the above statements or others like it. Take it from someone who knows. I’ve been a runner for a very long time, and there are still times when running is the last thing I want to do. Before we proceed, let me tell you a little bit about myself. If you’re a regular reader of my blog (you are, right? ), then you already know that running is my favorite form of exercise. I’d wager that if you don’t know me, you most likely know someone like me. Running is our favorite topic. We talk ad nauseam about our training and workouts (heck, this whole blog is devoted to the subject). We’ll skimp on sleep to pound the pavement. I could go on and on, but I think you get it. But here’s the kicker. I wasn’t always as passionate or as enthusiastic about running as I am today. I only started falling in love with running once I learned how to make training more fun. That’s where today’s post comes in. Here are a few things you can do to make running more fun. Apply them to your training program and you’ll be able to add some extra enthusiasm back into your running routine, and stop it from being, well…routine. Many beginner runners start off at a sprint, but quickly flame out. That’s a big mistake. Here’s the truth. If you’re going full speed on each and every one of your sessions, your training is going to hurt. Running fast all the time achieves nothing but running your body into the ground, and you don’t want that. Your muscular and circulatory systems need time both to build aerobic fitness and to adapt to running’s high impact. You cannot skip steps. You can try, but you’re going to end up hurting yourself. So, how do you start slow? What I’d recommend you do is alternate easy jogging and walking—say a minute of each. That’s what’s known as the walk/run method, and it’s the best way to get fit without getting hurt. As your training progresses, adjust your intervals. Increase the time spent jogging while taking less and less time for recovery until you’re running for 30 to 45 minutes a session without panting for air. Even then, don’t be hard on yourself when it comes to training pace. Instead, run by effort, and stick to a conversational pace. This is the sort of pace in which you can hold a conversation with a training buddy without much huffing and puffing. You can find tons of fun, cheap (often free) running apps you can download and start using right away to make your runs more fun. Some of these apps not only track your runs, but also inspire you with music, provide valuable coaching, keep you safe, and so on. Couch to 5K. One of the most popular apps in the running world. The C2K app is ideal if you’re looking to go from zero to a true runner. The app guides you through three 30-minute sessions per week to get ready for a 5K race within two months. Zombies, Run! Do you enjoy the idea of being terrorized by brain-eating zombies chasing you? Then you should give this app a go. It turns your running sessions into a game that takes place in the middle of the aftermath of an apocalyptic zombie world. The app provides a series of stories and missions for you to listen to and complete as you run. Rock My Run. For music lovers, this app is a must. As the name implies, RockMyRun is an app that provides the best workout music so you can maintain your energy and keep up a rockin’ pace while running. Runtastic. This is one of my favorites. Runtastic has a more detailed approach to tracking and will record duration, elevation gain, distance, speed, calories burned, and more. It’s ideal if you’re a running nerd like me. One of the mistakes I made in the past was to run the same course over and over. That was a huge blunder. Doing the same loop day after dreary day makes running unbearable. Simple. Instead of pounding the same pavement over and over, I strongly urge you to switch up your route and go somewhere you haven’t run before. Changing your running scenery can do wonders for your mental outlook and training enjoyment. You’ll be so focused on the new setting that you won’t even notice the minutes flying by. Your options are endless, depending on where you live of course. Seek out local pristine spots. Run on the beach. Head to the park. Tackle a mountainous path and take on the hills. Get off-road. You get to choose, so enjoy it. I’m not a social person by any means, but what I’ve learned is that having someone to run with usually makes running a lot more fun. Pairing up with a buddy might be just what you need to make your training enjoyable again. Doing so not only holds you accountable to your routine, but also ensures good company. Ask a friend, a family member, or colleague to join you on your next run. Just make sure that both of you have similar general fitness ability and training goals. Can’t find a partner who’s game to join you? Look online or head to your local running store to seek out group runs. Watching television is an ideal way to make treadmill runs more fun. In fact, distraction is key in beating boredom during an indoor workout, especially if I have a longer, easy-paced run on schedule. I tend to prefer humor shows for short runs and drama or police shows for longer runs. Some of my favorite treadmill shows include The Big Bang Theory, Amy Schmidt, Bojack Horseman, The Blacklist, The Flash, and Arrow. I’m a big fan of music, and I wouldn’t be the runner I am today without the help of my tunes. The running music I choose depends on my mood. 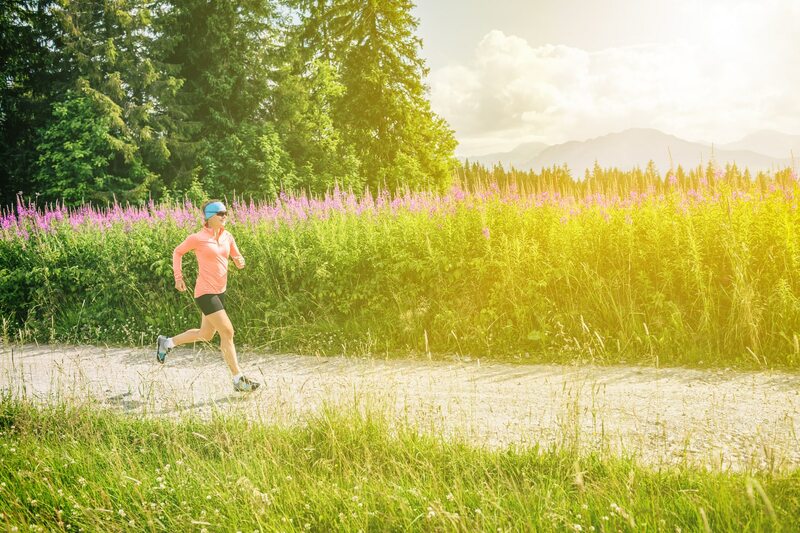 I usually pick different songs for different purposes: a high-energy playlist for faster-paced and interval workouts, and a relaxed playlist for my recovery and long runs. I’m sure you’ve already tried working out with music, but there’s a science to choosing the best playlist. Done right, the proper tunes will have drastic effects on your running performance and training enjoyment. I’m not just speaking from personal experience. 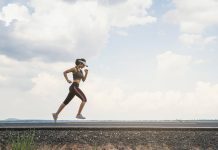 According to research out of the Brunel University in London, subjects who listened to music while exercising were able to run farther, swim faster, and bike longer than usual. To get the most out of music, look for songs with the right tempo and groove. With the right music, chances are you won’t be able to resist moving to the beat. I recommend playlists organized by BPM (beats per minute). Apps like Tempo Run and RockMyRun are fantastic for helping you do that. To err on the side of caution, when running outside pay attention to your surroundings by either keeping the volume low or using just one earbud. If all the above prove futile, then consider changing your running approach. This is especially helpful if you tend to stick to the same training pace day in day out. To get started, try Fartlek training. 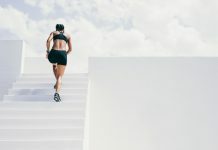 Swedish for “speed-play,” Fartlek training alternates between fast running bursts and recovery intervals in a random manner, either for distance or time. Not only does this method make training more fun, but it can also help you practice different paces, add more challenge to your training, and break out from a training rut. Fartlek training is also the ideal introduction to speedwork without committing too much of your time and effort. It’s an ideal transition. Here’s how to proceed with a Fartlek workout. After warming up with a 10-minute slow jog, pick a stationary object in the distance. It can be a tree, a telephone pole, a house, or anything else in your field of vision. Run as hard as you can to get there, then once you clear it, slow down and recover. Sight the next target and repeat, doing the same process for 15 to 20 minutes. Once you can’t do anymore, wrap up the session with a 5-minute cooldown. The above training strategies might be all you need to breathe some life back into your running routine. You have to take action to help yourself do your best. What about you? Do you have any other fun-building tactics? In the meantime, thank you for dropping by.